Kansas City Power and Light has agreed to buy wind energy from two plants now under construction in northwest Missouri. 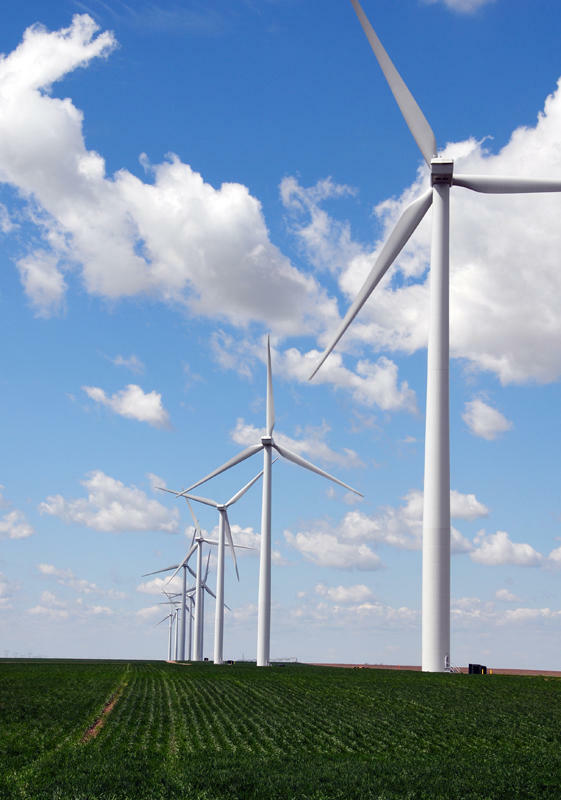 KCP&L's wind farm in Spearville, Kansas generates 100 megawatts of energy. NextEra Energy Resources is building its Osborn wind farm east of St. Joseph. It’s expected to be up and running by the end of the year and provide 200 megawatts of energy. A little further north, Tradewind Energy plans to complete the 300 megawatt Rock Creak wind farm near Tarkio, Missouri by September 2017. Like most wind farms, these are being built in rural areas, which can make it a challenge to transmit the power where it’s needed. Courtney Hughley, a spokesperson for KCP&L, says one advantage both projects have is that they're close to Kansas City. “They’re going to connect direct to the Midwest Transmission Project transmission line that KCP&L also involved with, and that allows us to have easier delivery of the electricity throughout our region,” Hughley says. Combined the two wind farms will be able to power 170,000 homes. While that’s a lot of energy, the wind turbines will be used to supplement KCP&L’s existing power plants, which rely heavily on coal, during peak times. “The technology for wind and the technology for battery storage isn’t quite there yet, where we feel like we could use this to replace base load generation at bigger plants like Iatan,” says Hughley. The 20-year-long agreements will also help KCP&L comply with Environmental Protection Agency and state regulations and have won praise from environmental groups. KCP&L currently has the largest portfolio of renewable energy in Missouri. Maria Carter the news director at KCUR 89.3. Follow her on Twitter @mariacarter or send story ideas to maria@kcur.org. The Kansas Corporation Commission has approved a rate increase of 9 percent for customers of Kansas City Power & Light. The increase was a compromise allowing the electricity company to collect an additional $48 million per year from its 250,000 Kansas electricity customers. KCP&L says the increase pays for power plant upgrades and means a cleaner, more reliable electric system. KCC Commissioner Pat Apple voted against the proposal. He says Kansas customers of KCP&L consistently have to pay more for electricity than customers on the Missouri side of the border. The Clean Power Plan that President Barack Obama announced Monday is designed to reduce carbon dioxide emissions from power plants — the largest source of those emissions — by almost a third by the year 2030, compared to 2005 levels. How that will play out in Kansas remains to be seen. Gov. Sam Brownback issued a statement Monday criticizing the president’s proposal regarding U.S. Environmental Protection Agency rules. Utility companies that operate coal-burning power plants in the area say they’re exploring how new federal carbon emissions rules will affect them and their customers. The Environmental Protection Agency on Monday released its Clean Power Plan, which aims to reduce greenhouse gases by nearly a third in the next 15 years. A spokesman for the Kansas City Board of Public Utilities, which operates the Nearman Creek Power Station in Kansas City, Kansas, said it was unclear how the plan would play out.